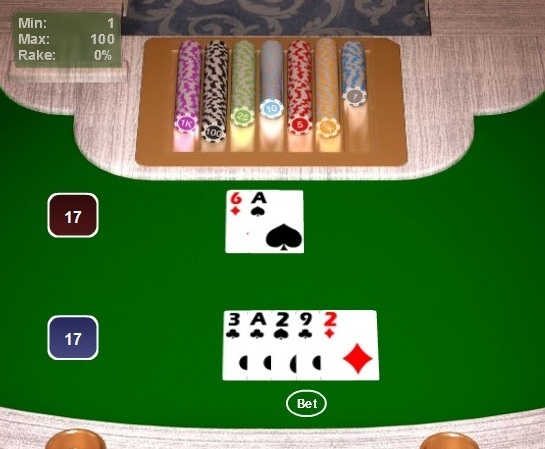 My earlier Rigged blackjack at VIP Golden Club article described the quite astonishingly malperforming blackjack game this casino was offering at the time, powered by software provider Casino Web Scripts. They have since disabled the game. Hooray, I hear you say. Well, maybe not. The current game they offer isn't much better. I'm offered double down on three cards. 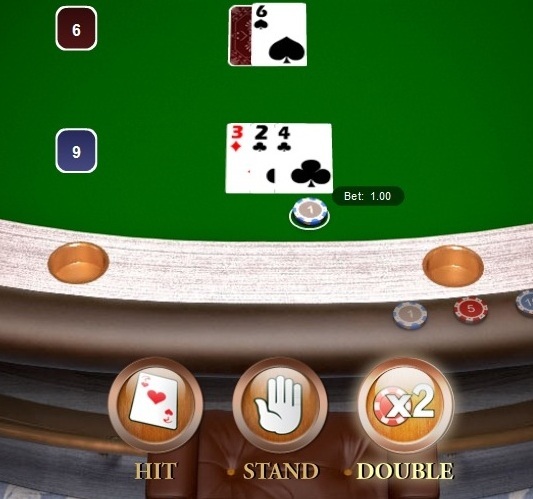 In fact, the double option is always available on any number of cards. In theory, this reverses the house edge from the player onto the casino - a rare animal. This is even better for the player - the player return is now a cracking 100.3% with perfect play. So, simply avoid busting and you'll win. Or maybe not. Things rapidly go the other way. Think that's bad? How about a dealer hit on soft 19? Think that's bad? How about a dealer hit on soft 17, followed by a 3 for soft 20...followed by another hit? Surely it can get no worse? I mean, a hit on a blackjack would be ludicrous, wouldn't it? However, the biggest problem with the game is one I can't easily show with screenshots. 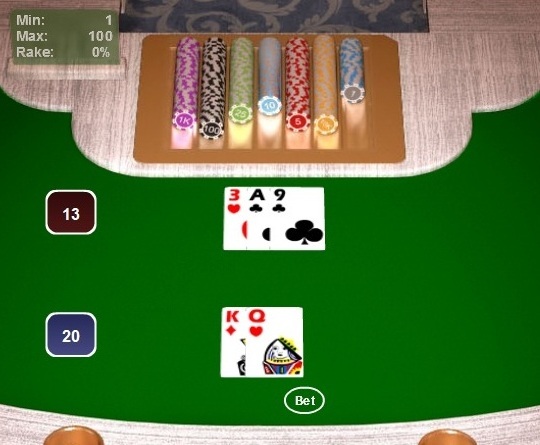 On many occasions, either at the end or during the hand the software freezes. When you reload, the cards should be where you left them, but they are not. They're gone...and so is your money. This software may or may not be actually rigged. At the very least it's horrifically badly made, and should absolutely never have been released to the gambling public. But released it was. Avoid depositing any money with this casino. On the basis of the comment below about trying the software, I ran another test. I played just two hands, but this seemed all that was necessary. In the first, the dealer hit a soft 19. The dealer this time has no aces to worry about, as the initial two cards are 8 and 9, for hard 17. Nevertheless, it takes a card, receiving an ace for a hard 18. Still not finished, it takes another again, hitting the hard 18 and busting. Business as usual. Player makes 19, so the dealer's soft 18 should be enough for a player win. The dealer takes another card, for soft 21, and another. The casino clearly knows that its software is at worst horrendously malfunctioning, and at best, rigged. Yet they choose to do nothing. Stay away from VIP Golden Club. Man, HARD17 rules say that player stands only if he has Hard 17 +. All your examples are based on SOFT17. 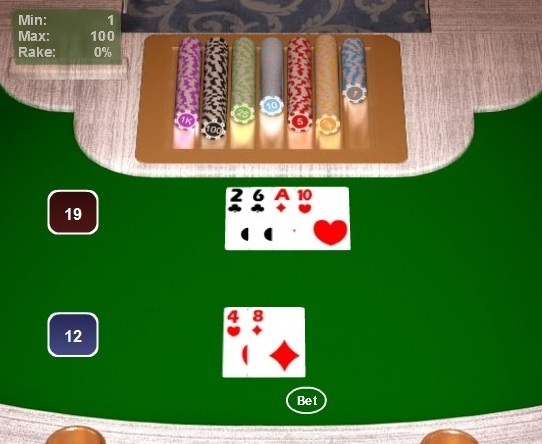 A "hard hand" is a blackjack hand with no ace, or with an ace that must count as 1. 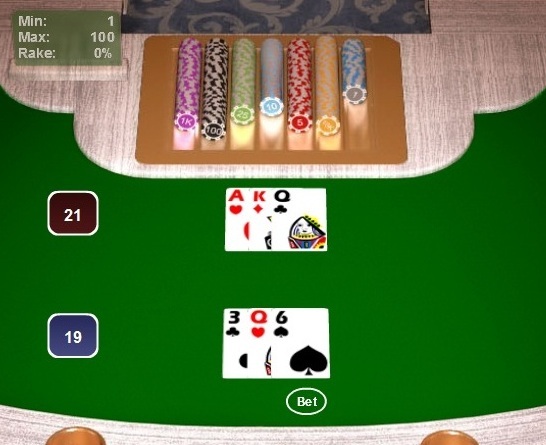 A blackjack hand comprising an ace, a 7, and a 9 is a "hard 17." Notice that the ace must count as 1 in this hand; if it counted as 11, the hand would "bust" (i.e., go over 21). A "soft hand" is a hand with an ace that counts as 11. 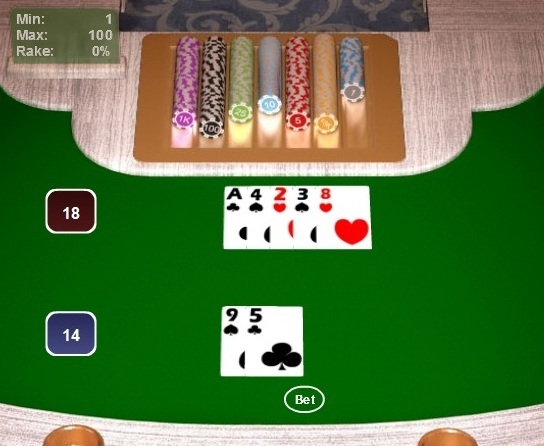 A hand comprising an ace and a 6 is a "soft 17." "Man, HARD17 rules say that player stands only if he has Hard 17 +. All your examples are based on SOFT17." No, it relates to the dealer, not the player. Your description of H17 and S17 is correct, but none of this applies to the above examples. In some, the dealer stands on soft 17. In others, it hits soft 17. In others, it hits soft 18. In others, it hits soft 20. In one, it hits soft 21, or a blackjack, which is an automatic win. And in one example, it stands on hard 13 - the direct reverse of all the above and, of course, wrong. If you think any of the above examples do NOT demonstrate clearly malfunctioning software (apart from the A6 at the top, which I give to demonstrate the inconsistency of the dealer play), then please say which, and I'll explain why it's there. However, my simple descriptions above should really be more than adequate. On the basis of Gerhard's comment about actually trying this dreadful software, I did a small retest - see the update above. There's no change. The dealer hitting is still completely off whack. VIP Golden Club has been added to the Wizard Of Odds blacklist. I played this game and it is very nice and doesn't have the problems you mention. 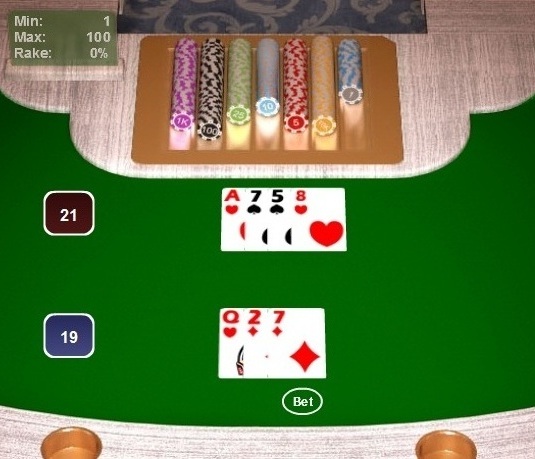 I played blackjack in many real and online casinos and this game has no problem. Maybe they fixed this. I think your article is outdated.